Another amazing season in the garden and on the farm awaits! We are truly excited for this experience on the farm and hoping to have some amazing farmers out with us. 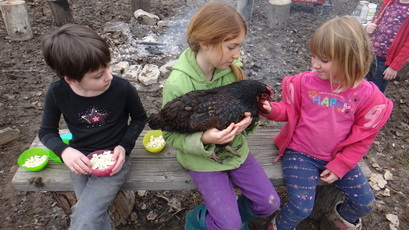 On the Farm and in the Garden this is a great time of year and we really want kids to have some amazing hands-on experiences. Young farmers will feed the chickens and gather eggs, feed goats and pigs, milk the dairy goat. Extra chores or care may take place on different days. We also have time for play in the haybarn. We are shrinking the garden this year and will be cover cropping a row in the garden area. We will be discussing the benefits and prepping and seeding the bed. We will look at the fruit trees in the orchard and do some pruning. Bee discussion and care for the season ahead. We are always asking questions and thinking about why and when we do this work for the garden. Our new intern Kristna will be discussing animal health as it applies to horse care. We will ride the horses, with an opportunity for independent riding. We will go on a canal adventure and explore the signs of Spring! 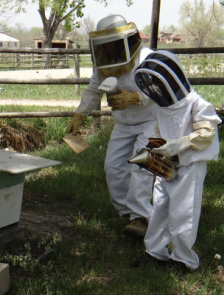 We will incorporate some bee care in the earlier classes but we will have more hands on during this class with an opportunity to suit up and check out the hive. We will be working in the garden and getting beds ready for planting and doing some garden work. We will be planting the garden beds for the summer crop. Our intern Kristina will talk about soil health. 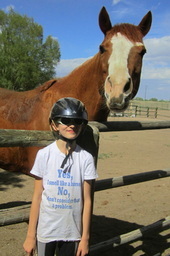 We will be riding horses with an opportunity to work on more advanced riding skills. Our Last day we always honor our experience with a bonfire and gratitude. 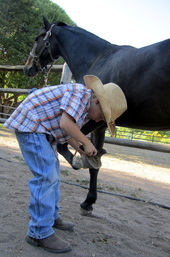 We will also have fun doing a bit of everything to end the session: horseback riding, gardening, and some creating with nature.